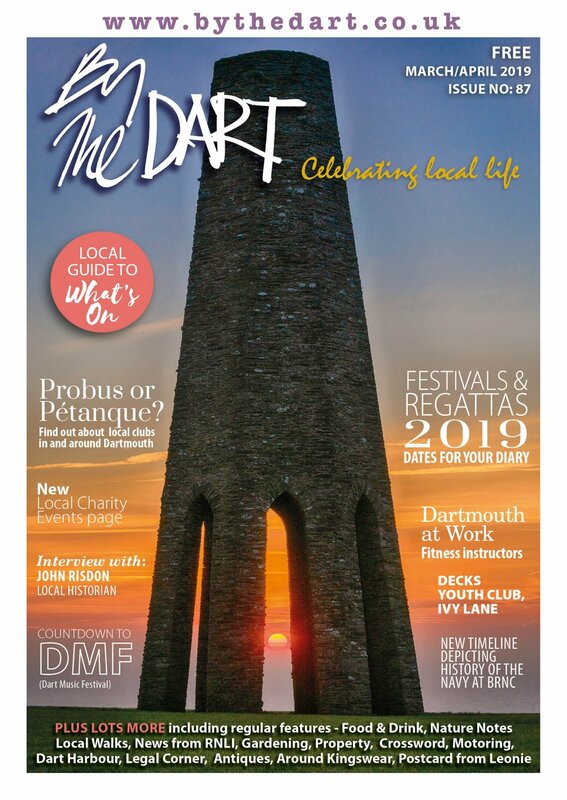 Like many a UK town, Dartmouth has or has had its fair share of successful family run businesses whether in retail, marine, construction or property. One such highly visible and very successful business is Darthaven Marina on the Kingswear side of the River Dart. Run by the Holman family since it was founded in 1976, By The Dart went to speak to Mrs Suzette Holman (pictured) who founded the business with her former husband. She still remains heavily involved even though she is now into her 80’s. Her son John is in charge now and her daughter also sits on the board of directors. 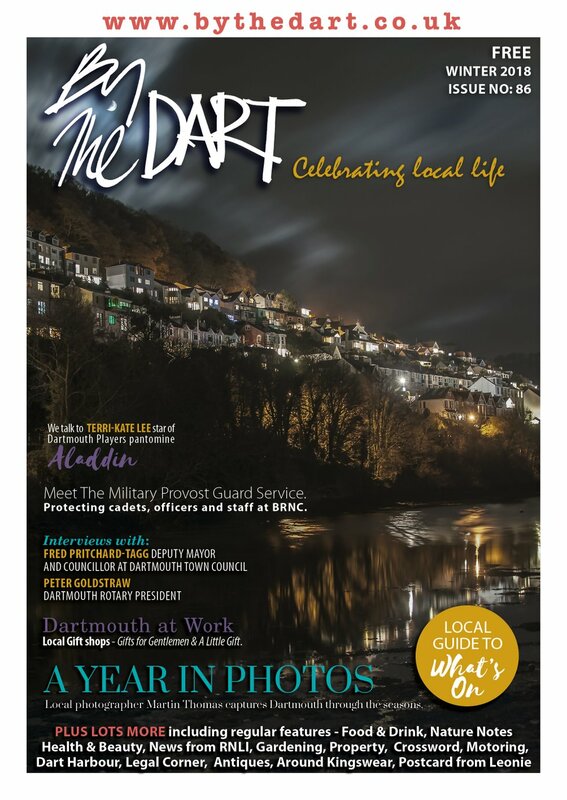 By The Dart met Mrs Holman in her drawing room sited above the Royal Dart pub and the lower ferry with a view across the marina – just the place to keep an eye on what is happening. “I used to have dog that had a bell on its collar which acted as an early warning system when I went out to inspect the marina and our various facilities,” she says with a laugh, but you can bet it kept everyone on their toes. The beginnings of the business were possibly a little fortuitous for Mrs Holman and her husband. They had moved to Brixham from Cornwall a few years after the war when Mr Holman left the family business in Cornwall and joined Uphams Boatbuilders. The boatyard (on a site now occupied by flats overlooking Brixham marina) wasn’t in great shape then although it did find fame building the replica of the ‘Mayflower’, which recreated the original voyage to America in 1957. Nonetheless, the Holmans got some money together to buy the business. “We met a man called Mr Fitz-John who ran a construction company in Bristol. He had bought the land here at Kingswear to build a small marina and he wanted us to go into partnership with him and help run it. His business then suddenly went into receivership and we ended up buying the site from the receiver. With the railway bisecting the land that the Holmans had bought, they had to spend a considerable sum to construct a crossing. They then built the quay from the site of the present boat hoist to the bridge and crossing and put in more pontoons, followed by building the marina berthing office and reclaiming land from the creek to construct the present car park. In those days it seemed a very risky venture and they had to sell various parts of the boatyard in Brixham (now since fully sold) to help raise money to invest in the business including the purchase of the building that nowadays includes the Royal Dart pub. “I ran the pub for 5 years – it nearly killed me!” says Mrs Holman, “but I learned a lot from that experience.” The marina offices occupied the area where Mrs Holman now lives. It was only seven years ago that the remainder of the quay was completed to include the car park by the passenger ferry. It had been pretty shabby before then but was an important facility for the ships that moored there bringing timber for Baltic Wharf and for South Devon Shellfish who land their catch there. John Holman and his wife Melanie run the marina day-to-day. John was previously with the Royal Navy but left after damaging his eye playing Navy rugby. After taking a boat management course, he joined the business and the company has continued to flourish under his stewardship. Mrs Holman hopes that the business may pass one day to the third generation but acknowledges that this may not happen. It is highly unusual for a marina to remain in family hands. “ We are a rarity now in the UK but as a family business we can better project the friendly yet professional approach that keeps our customers loyal.” Indeed, some boat owners have been at Darthaven since it began. 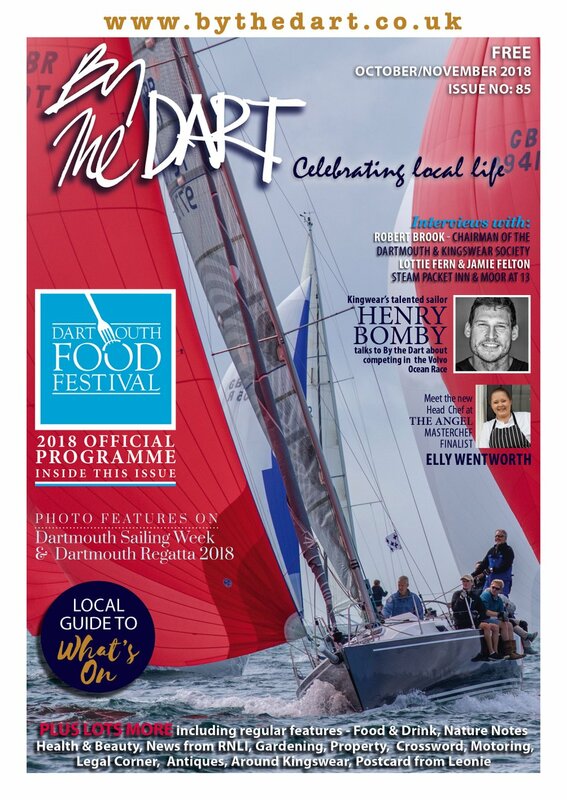 With 270 boats, the family would still like to be able to grow capacity a bit more but Mrs Holman admits she’d hate the Dart to look like the Hamble. Nonetheless, the success of Darthaven is that they offer a full service under one roof with the chandlery and boat repairs & maintenance contributing an equal share with berthing to the business. Few marinas have such facilities. Darthaven is a good example of how a family can nurture and develop a business. But there needs to be some steely resolve and determination to make it a success which Mrs Holman clearly possesses. She was long the driving force behind the business and, as I am sure she wouldn’t mind admitting, must have been pretty formidable.